Welcome to the magical world of Be My Bear, specialists in the make-a-bear concept and your one-stop shop for unique children's gifts and party entertainment products. 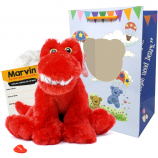 Our innovative teddy bear making kits allow children of all ages (and adults !) to make their very own bear or animal friend wherever they choose. 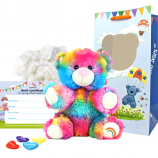 Similar to the Build-A-Bear experience our fun, no-sew kits set us apart by the fact that each child can quite literally make a bear anywhere, giving parents the option to host amazing bear making parties themselves at home or at any other desired party venue. With a whole host of teddy bear clothes and accessories to also choose from, you'll be like a bear in a sweet shop! We pride ourselves on quality at affordable prices and offer an extensive range of gifts for all reasons and all seasons as well as great customer service, so come on in and experience the magic! Did you know that Be My Bear are the UK's original Build-Anywhere-Bear company? Formed in 2001 by life-long friends Pippa & Jane, Be My Bear has grown into a large national company based in North Wales with a dedicated, hard-working team of staff. Each and every member of our team has super soft stuffing at their heart. Proud of our founding principles, we're always on-hand to give advice on all aspects of our products (including tips and tricks on how to host amazing bear making parties). We look forward to making your experience with us magical. If you would like to purchase a product featured on TV, visit our TV Teddy Bears page to view our complete range and start your very own celebrity bear collection today! 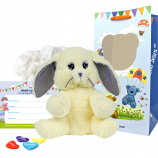 Our teddy bear and animal friend kits make a perfect addition to parties, from a birthday party to teddy bear picnics, Santa's grottos and beyond, both children and adults will be entertained and amazed with our build-anywhere-bears. 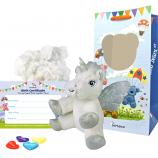 The kits come with everything needed to host your own party including bear or animal skin, soft luxurious stuffing, wish upon a star charm, birth certificate and deluxe carry bag. We even include a party invitation with each kit! If you're just attending a birthday party for someone else or need that special yet affordable gift for a friend or family member then again, look no further than Be My Bear. Our range is extensive and we even have teddy bear clothes and accessories for every occasion (the perfect finishing touch for any gift).